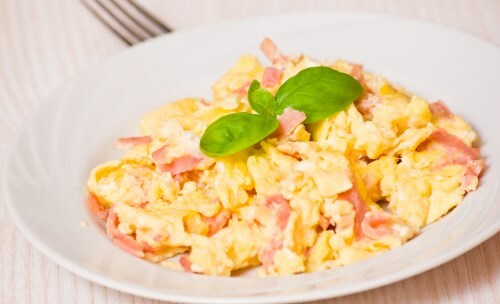 Combine eggs and milk in a large bowl; beat well. Add ham to preheated skillet and warm until juicy. Add eggs and stir regularly until they start to set. While eggs are still soft, add cheese. Cook until eggs are firm and cheese is melted.